Sunseeker International has announced at the Monaco Yacht Show 2018 that it will be extending its models into larger metal-constructed series that will be built in partnership with Dutch shipyard ICON Yachts. The inaugural collaboration will produce a 49m/161ft luxury yacht with the first hull in the series to be launched in 2021. The move comes as the successful British shipyard has seen greater demand for its vessels in larger sizes than Sunseeker currently produces, and the partnership marks the first time in its 50-year history that a completely different technique to yacht-building is being implemented. 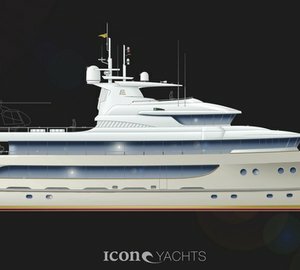 ICON Yachts developed a revolutionary approach to superyacht construction by creating a blueprint that allowed clients to fully customise a luxury yacht from the waterline upwards within a two-year period, instead of creating one-off custom yachts that would take three years or longer to design and construct. Several superyachts to date have been created using this technique, while at the same time outfitting each vessel with cutting-edge technology to reduce the environmental impact. 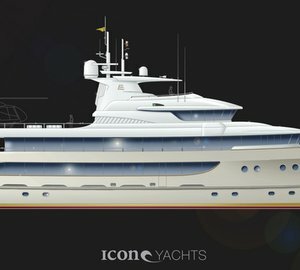 The new superyacht will be built in the Netherlands at the ICON shipyard using a fast displacement hull design and using naval architecture, design and engineering by Sunseeker. Please contact CharterWorld - the luxury yacht charter specialist - for more on superyacht news item "Sunseeker moves into larger metal superyachts in collaboration with Icon Yachts".